The Richmond Kickers are undefeated in 22 straight matches. They have strung together 20 results in USL Pro play and 2 US Open Cup matches*. The current streak has also planted them on top of the USL Pro standings, ahead of USL Pro darlings, Orlando City SC. And with the limited resources and incredibly difficult road schedules in USL Pro, this streak has been no easy task for the Kickers. The Kickers began the 2013 USL Pro season with 12 of their first matches 14 at Home. Two of those were US Open Cup matches against Icon FC and DC United. In that time, they went 7-0-7 and afterwards were left looking at 8 consecutive matches on the road. As if 8 straight road matches wasn’t difficult enough, they would have to play four of those matches on back to back nights, and 3 other matches in the span of just 9 days. Only one of the matches came with the team receiving a full week’s rest. All of this while traveling from central Virginia to practically all 4 corners of the North American continent. USL Pro travel budgets aren’t quite as comfortable as many MLS teams with many trips involving long bus rides to and from venues. The Kickers also have to accomplish this task with a roster of only 27 players, many of which typically see action on back to back nights. Despite being faced with many challenges, the road trip started off in dream fashion. 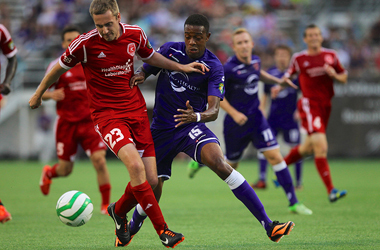 Richmond traveled to the Orange Bowl to face former USL Pro league leaders, Orlando City SC. 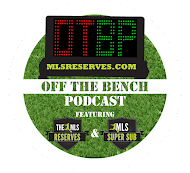 Missing from Orlando City was Sporting Kansas City loanee and former Off The Bench guest, Dominic Dwyer, who was tearing up the USL scoring charts prior to his recall to Sporting. The Kicker’s defense was able to keep the home team off the board and scored two 2nd half goals to hand Orlando City their first and only loss of the season at home thus far. The road trip was not all smooth sailing, however. They had to claw back twice from early goal deficits to earn wins in both Dayton, against the Dutch Lions, and in Los Angeles, against the Blues. The Kickers also earned a hard fought draw in stoppage time against Phoenix FC, courtesy of a stoppage time equalizer by Defender, Shane Johnson. The clutch goal kept the 19 game unbeaten streak, at the time, alive. The road trip concluded just how it began, with a big win on the road. The Kickers faced off against the Vancouver Whitecaps Reserves on Tuesday night. The Kickers were able to hang on to a 1st half lead and hand the home team a tough loss at home. With the win the Kickers moved two points clear of 1st place in the USL Pro standings. Getting goals from multiple players is something the Kickers have been doing all season long. 15 out of 27 total players have all registered a goal for the team, thus far. Four players have registered more than 5 goals as well; Luke Vercollone, Michael Seaton, Brian Ownby, and MLS veteran Joseph Ngwenya who leads the team in goals with 7 and in points with 17. Following close behind Ngwenya on the total points board for the team is Brian Ownby and Michael Seaton with 15 and 11 points respectively. Both players are on loan from MLS clubs. Ownby comes from the Houston Dynamo and Seaton from their MLS Affiliate club, DC United. They have each been integral for the Kickers success so far this season as they have amassed close to a 1 point per game average. 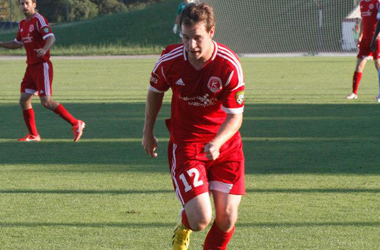 Ownby has been doing so well lately he was just named the USL Pro Player of the Week . Win streaks and success are no strangers to the Kickers. The club has had two previous unbeaten streaks of 14 straight games back in 1995 and in the 2006-2007 regular seasons. Their streak in 1995 helped them win both the old USISL Premier League Championship and famed US Open Cup. The 2006 streak helped them become the USL Second Division regular season champions and eventually the League Champions that same year. The streak continued into the 2007 regular season and helped the team solidify the 2007 regular season championship. Both the current and the 2006 through 2007 unbeaten run belong to Head Coach, Leigh Cowlishaw. Since his time at the Kickers, Coach Cowlishaw has amassed an overall coaching record of 218-105-82. That is better than a 53% win percentage since taking the helm of the Kickers. This impressive record has led the club to two USL Second Division Championships, three US Open Cup Quarterfinals and one Semifinal appearance. The Kickers will look to continue this unprecedented run on Sunday July 28 against VSI Tampa Bay from the friendly confines of City Stadium. The last time the two teams met was on Jun 30th at Plant City Stadium where the two battled to a 0-0 stalemate. There are only 6 more games remaining in the USL Pro regular season. Three of those games will be at home for the Kickers. This puts the team in a promising position to not only keep the franchise and league record alive, but to head into the Playoffs with unprecedented confidence. And with just a few more victories, they could go down into the history books of USL Pro and Professional American Soccer history as arguably one of the best teams to every play the game. Now there’s a discussion to “Kick” around the table over a few beers someday. * Note: Although the Kickers lost to DC United in US Open Cup play, as per competition rules it counted as a Draw since it was scoreless through extra time and had to go Penalties to determine a winner. "The Kickers also have to accomplish this task with a roster of only 27 players, many of which typically see action on back to back nights." And the Kickers Pro players are often times coaching and training young players on their off nights in between. Their enthusiasm and dedication is very much appreciated! I like food ball very much.Playing is good for our health. The article you have shared here is very awesome. I really like and appreciate your work. The points you have mentioned in this article are useful.